With seven sessions again this week, I’m well on target to reach my goal of 400 by the end of the year. Of course though, it’s not about obsessively going just for the sake of it. My angling has always been about enjoyment – and it always will be. One of the reasons I have been able to go fishing so many times this year (23 outings recorded so far) is because I’m thinking outside the box. All the sessions have been short, and I’ve organised my days efficiently, so that I’ve been able to squeeze in trips around my busy lifestyle. Plus, if you’ve been following my blog entries recently, you’ll know all about my telescopic mini-rod and reel set-up. It has been the passport to success as far as my angling is concerned, and again this week, that’s what I fished with. I did five canal sessions and two on the brook. Again, if you’ve been reading my blog, you’ll know all about the latter. The conditions haven’t been ideal at all and I did register three blanks this time round. However, especially in winter, when you’re only out for a very short time, this is inevitable. 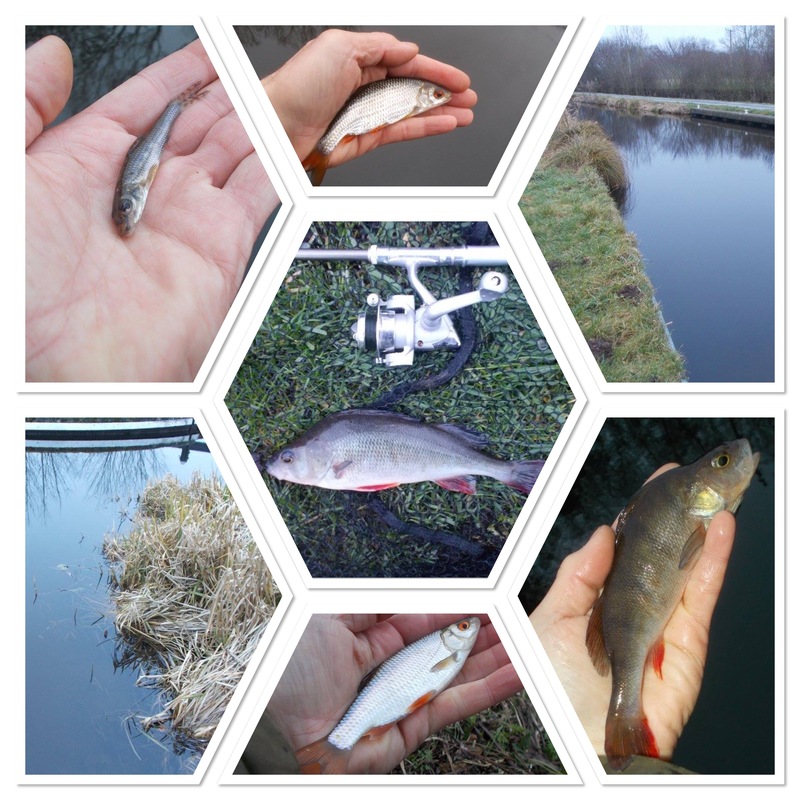 When I did catch, as the title declares, I banked roach, perch and gudgeon. The set-up is very simple. A 2.5 lb fluorocarbon line, 1/3 ounce lead, size 18 Drennan Super Specialist hook and a small shot and 5mm bead set six inches or so above the hook. Very simple but it works. As I’ve said many times before, angling is the perfect platform from which to view the natural world. Check out the menu at the head of the page for my daily nature posts. Not all, but most of them have been while out and about at the water’s edge. The best bird sightings this year so far have been waxwing and yellow-browed warbler. As always, other things I’ve been involved in can be viewed via the posts below. They are from my Facebook account and as it’s set to ‘public’ anyway, they can be viewed by anyone. Finally, this is the 706th consecutive Saturday that I’ve published a blog entry. Some say it’s a commitment. Well, I guess it is, but it’s also a labour of love and never a burden.